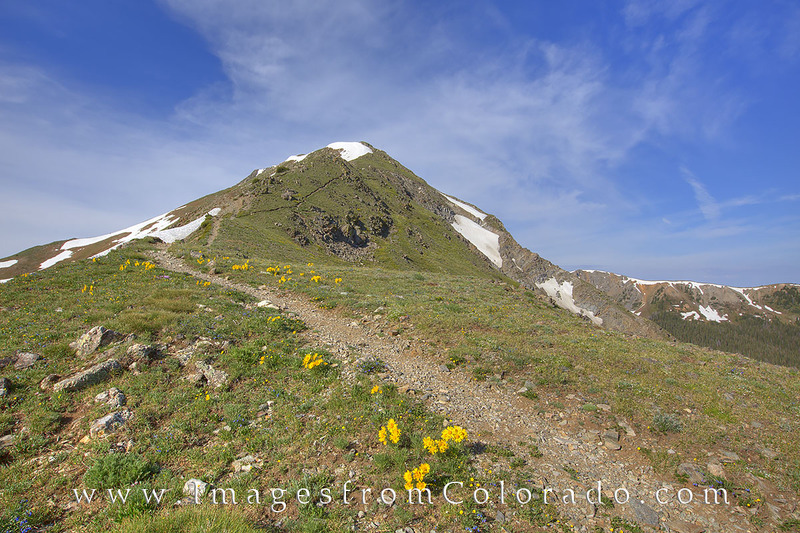 Depending on your starting point, the Byers Peak trail is generally between 8-9 miles round trip and reaches the summit at 12,804' in elevation. The ascent takes you around 3,000 vertical feet. Along the path, you'll find wildflowers in June and July, including these golden "Old Man of the Mountain." Byers Peak towers over the town of Fraser and makes for a good morning hike. Photo © copyright by Rob Greebon.